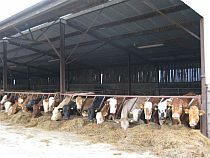 Most farms in Ireland concentrate heavily on milk and meat production. There are very few farms that rely on crop farming, so anyone coming to Ireland to gain experience in agriculture must be prepared to work closely with animals. Although Ireland is a small country there are 5.8 million beef cattle, 1.4 million dairy cows, 124,000 sports horses, 5.1 million sheep, and just 1.6 million pigs. Most Irish farms are mixed farms which means they have beef cattle and a couple of other enterprises such as crops or dairy. There are 72,400 beef farmers in Ireland and 90% of Irish beef cattle are exported to over 100 countries throughout the world. Ireland is the fifth largest beef exporter in the world and the largest in Europe. 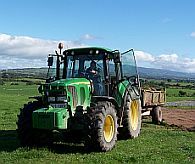 Placements on a mixed farms will give a variety of experience in a number of different areas including some tractor driving, where safe. Although the main daily routines will continue, every day will be different in some way and with so much to learn it will never be boring.